In rapidly changing marketplace, it is vital to have agility and creativity by appropriate advice. You can not afford to stand still. Our aim is to advise on: “how organizations manage their operations defines their competitive position tomorrow”. We offer integrated objective advisory services that are designed to help you make better decisions about how you manage strategies on your growth & changes by implementing sustainable strategies. We advise on how to cut costs not customers, and how to secure information in a borderless world and turning threats into opportunities and enhance value for shareholders and stakeholders alike. One of the most important laws in Iran is the labour and social security law. 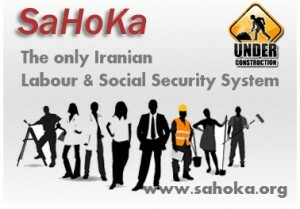 This firm has developed the “SaHoKa” which is the only intelligent labour and social security web based system in Iran in farsi language which is solely developed by our firm. This website includes all Iran’s labour law, social security law and regulations and circulars. The Android & iOS based applications of SaHoKa are also developed by our firm and available to everyone.